Enamel Dental (Irving) - Book Appointment Online! Welcome to Enamel Dental, located in the Shops of Cypress Waters development of Irving, TX! We are happy you found us and look forward to meeting you. Dr. Palhan and our entire team welcome you to join our dental family! 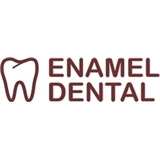 At Enamel Dental we strive very hard to provide quality dental care at affordable prices. Our practice provides a full range of dental treatments including preventative, and restorative dentistry, as well as whitening, extractions and implants, fillings, root canals, crowns and bridges, partial and full dentures, bonding's and cleanings. I am one of "those people" that absolutely hates going to the dentist, but Dr. Palhan and staff have won my confidence. I highly recommend Enamel Dental in Cypress Waters, Valley Ranch, Irving, TX.